Zoom out for a minute on this map. Take a look at that crisp Jefferson Grid. Those straight lines and 90° intersections might lead you to think each parcel of land is pretty much the same. Soybeans and corn. More soybeans and corn. But ask a farmer and you know they’re tracking the moisture content of each square foot. They’re plowing around drains. They’re factoring for elevation. The land is not the same. Even on the map, you can use how the river valleys cause those neat squares to shift and adapt. We all work within framework. 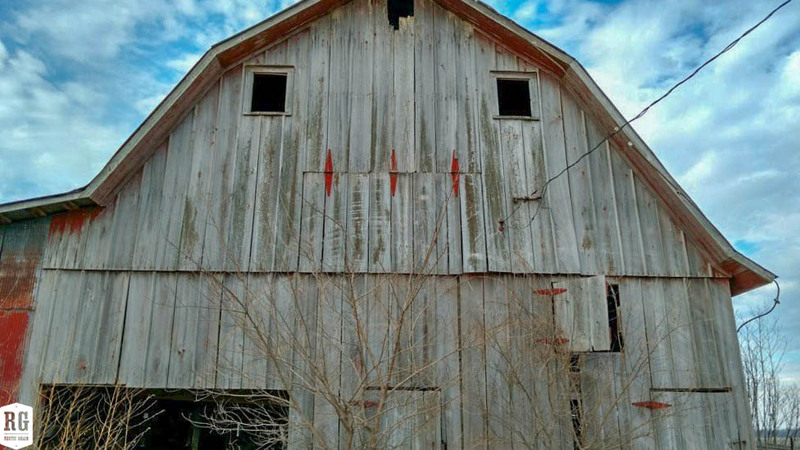 Each of these barns is based on a standard “barn framework”–peaked roof, usually two stories for a hayloft, metal hinges, long planked siding. You might be tempted to say, “you’ve seen one barn, you’ve seen them all.” Yet each of these barns is unique. 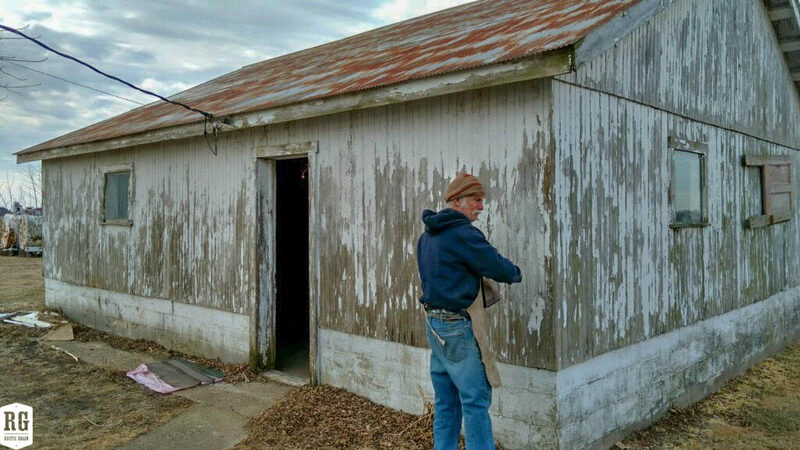 The corrugated metal sides of this barn caught my eye, as did the thin, whitewashed planking on the side. 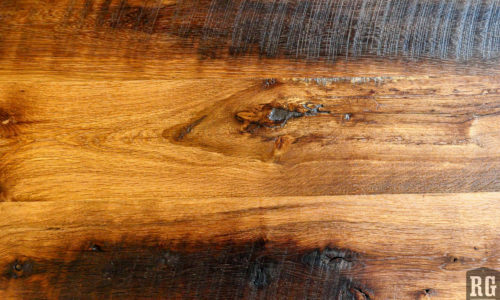 As this wood gets reclaimed and reused in Rustic Grain pieces, each end product will be unique from big design choices like whether to use those 3″ planks vs. the wide 12″ planks from the main barn. 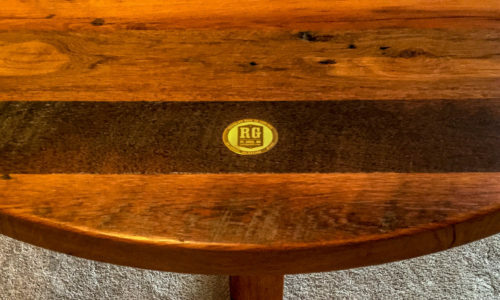 The sawmarks, the weathering, the knots from the real life tree this once was (a tree that was born, not 100 years ago, but more like 150 years ago) will all make each of the pieces we create one-of-a-kind. Yes, they are dining room tables or countertops or mantle pieces. You’ve seen one, you’ve seen them all, right? No! The framework might be the same. 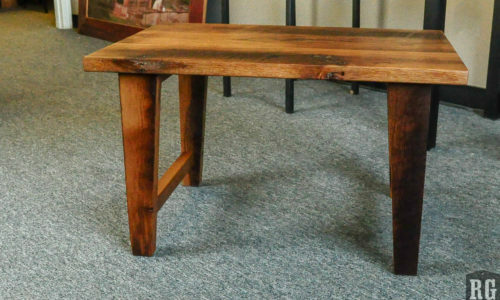 But each fabrication process, from reclamation to finish work, is unique responding to the dictates of the wood, the needs and desires of our beloved clients, and the inspiration of our craftsmen. So let’s see. 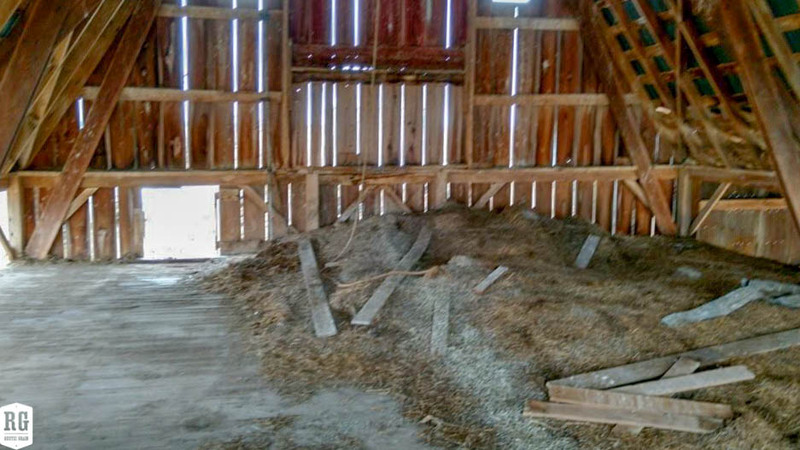 What will this barn become?